I’m not much of an “I told you so” guy. And I’ll also be the first to admit that some of my sports predictions go disturbingly astray (“Milwaukee Bucks in four over the Boston Celtics,” “Ohio State University will make the Final Four”) — you get the point. But one of my most passionate sports arguments for the last four years has been my belief that now New Orleans Pelican veteran, Rajon Rondo, is still one of the best true point guards in the NBA. And it looks like Rondo’s play is finally backing me up. Anyway, as hard as I tried to convince my peers that Rondo was still great after getting traded away by the Celtics in 2014, my efforts were to no avail. As I took to Twitter in 2015 and again in 2017 to promote this idea, I was met with stark criticism. Even here in Beantown, I’m surprised by how Rondo’s current talents go unappreciated. I get where these people are coming from. Since departing from Boston, Rondo has hit some sizeable bumps in the road. His time in Dallas was comical, riddled by alleged fake injuries and toxic relationships. Rondo’s year spent in Sacramento was better. He averaged some of the best numbers of his career (11.9 points and 11.7 assists), but the Sacramento Kings failed to make the playoffs. Then Rondo took his talents to the Windy City. As the leader of the Chicago Bulls, the world saw flashes of eminence from the kid yet again. Rondo, Jimmy Butler and the No. 8 seeded Bulls stormed into the TD Garden and won two straight games against the top-ranked Celtics. Rondo averaged 11.5 points, 10 assists and 8.5 rebounds playing underneath a banner he helped put up. As a clear indication of how pivotal Rondo was in those first two games, the Bulls lost the next four straight, all in Rondo’s absence due to a right thumb injury. That brings us to the current 2018 postseason. Rondo and Anthony Davis, alongside the mediocre No. 6 seeded New Orleans Pelicans roster, find themselves up 2-0 against the No. 3 seed Portland Trail Blazers. And Rondo’s already in classic postseason form. In the series’ first two games in Portland’s feisty Moda Center, Rondo struck lightning — averaging 11 points, 13 assists and nine rebounds. He even showed off a 17-assist performance in Game One. While it seemed the sports world and social media were surprised by Rondo’s recent play, I expected nothing less. This is Rondo. He is still capable of doing this. He’s the league’s best facilitator. The dude threw together a career-high 25 assists in a single game just this season, the most by any player since Jason Kidd in 1996, when Rondo was 9 years old. On top of that, Rondo has recorded five games with at least 17 assists so far in his ninth campaign. Still, Rondo’s name rarely comes up in the discussion of the NBA’s best point guards. In the somewhat new “point guard era,” where players like Russell Westbrook, Steph Curry, Kyrie Irving and James Harden are not only their team’s point guard but their best scorer as well, the traditional role of the floor general has almost been forgotten. Although, as basketball fans and sports journalists, it’s our job to adapt to the evolution of the game just like the players have to, “outdated” play styles like Rondo’s are still immensely valuable in today’s game. Rondo isn’t the best scorer in the league. He’s not Harden or Westbrook or Damian Lillard. He has never been, and he never will be. But Rondo doesn’t need to fill that role. He’s had Ray Allen and Paul Pierce, Butler and Dwyane Wade, and now he has Davis. And if everything goes according to plan for the Pelicans this offseason, center DeMarcus Cousins will be back after recovering from an Achilles tear. Points will be scored, trust me. Rondo’s had some rough seasons, and I truly think that Boston’s somewhat unpleasant split up between Doc Rivers, Pierce, Allen, Kevin Garnett and eventually Rondo himself, affected him mentally. 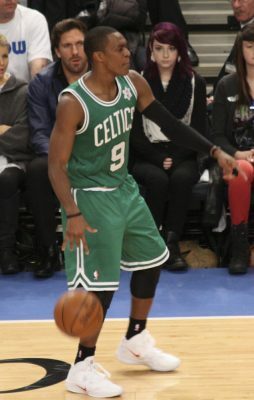 It was obvious that Rondo was having fun in the green and white. Even as a Lakers fan, I could tell Boston had something special here. The much-too-early divorce rattled Rondo as he tried to get a footing back in the NBA. But it seems as if he has found a home again in New Orleans. If Rondo continues to dish the rock in baffling ways for years to come, he will be doing his job as the quarterback — setting his teammates up to succeed against anyone out there. He will continue to be the best facilitator in the NBA. 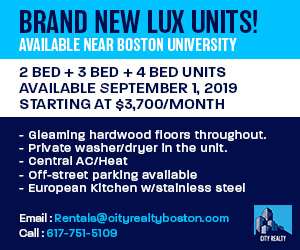 CORRECTION: The previous caption of this article stated that Rondo had been on five teams since being traded to the Celtics. We apologize for the mistake and the current article reflects the correct changes. I love Rondo too! He is a mean, ornery genius at point guard!